1. Go on a date with your spouse without your baby. This one is SO important. Find a family member or close friend to come over and be with your child and leave the house. 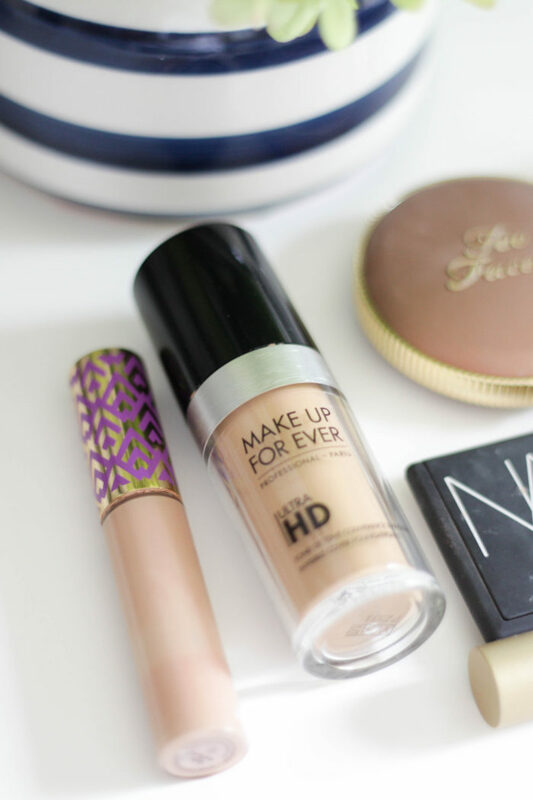 Even if it’s just for a quick 30 minute coffee date…go! The earlier you do this the easier it is. Tip: Go during nap time or after they’re down for the night if you’re worried about feeding or diapering or anything like that (although I’m sure Grandma or Grandpa will want to get some good cuddles with your baby)! 2. Take your baby to a restaurant with you. Again, the earlier the better. We used to time it out that we would get to dinner as Roy was napping and be home in time for his next feeding since breastfeeding was a struggle for me. When they’re really little theysleep a LOT so take advantage of it! 3. Take your baby to Target (or the grocery store, etc), by yourself. The first time I survived Target with Roy I felt like an absolute champ. I went in only needing a couple things so it was the shortest trip ever but it conquered any fear I had with running errands with him. Now I LOVE taking him to Target because he has a ton of fun looking at everything and talking to everyone and we have a blast! 4. Share your frustrations with someone. Is your baby not napping and you’re ready to rip your hair out? Call or text someone. Is breastfeeding so hard and you don’t feel like you can do it anymore? Call or text someone. Are you just so exhausted and need to hear it’s all going to get better? Call or text someone. Being a mom, especially a stay at home mom, is lonely so find a few friends who have been there and get them on speed dial. I can’t tell you how many times I called my sister only for her to tell me “it’s ok. it’s normal to feel like that. it’s going to get better”. Just hearing those words made things seem less awful. You are NOT a bad mom for complaining about your child. You are a normal mom – we all get frustrated! My cousin is a NICU nurse so I can’t tell you how many pictures of poop or videos of Roy being a normal baby (when I was convinced he was having a seizure or something) she got. After she had her first baby a few months ago, I was happy to answer questions she had (and bonus, she felt ok asking me questions since she answered all MY crazy questions!). 6. Moms – let Dad help. The best thing you can do to empower Dad to bond with the baby and help out is to let him! He can do bath times or change diapers in the middle of the night. He can give a bottle once in a while or do tummy time each morning. Just because you’re breastfeeding doesn’t mean he can’t have a role, you both just need to figure out what that is! Rishi works long hours so he would do bedtime most nights – feeding Roy a bottle, getting him in pjs and putting him down. It really helped them bond especially in those early months. 7. Dads – get involved! It can be super intimidating in the beginning if you haven’t been around kids but you’ll figure it out! Roy hated it when Rishi held him the way I always did which was so frustrating for RIshi but he quickly realized Roy loved it when he held him belly down on his arm (which Roy would never let me do). Bonus points go to dads who take the kid out of the house (a short stroll around the block, anyone?) so mom can take a bath or simply sit in silence for 15 minutes. 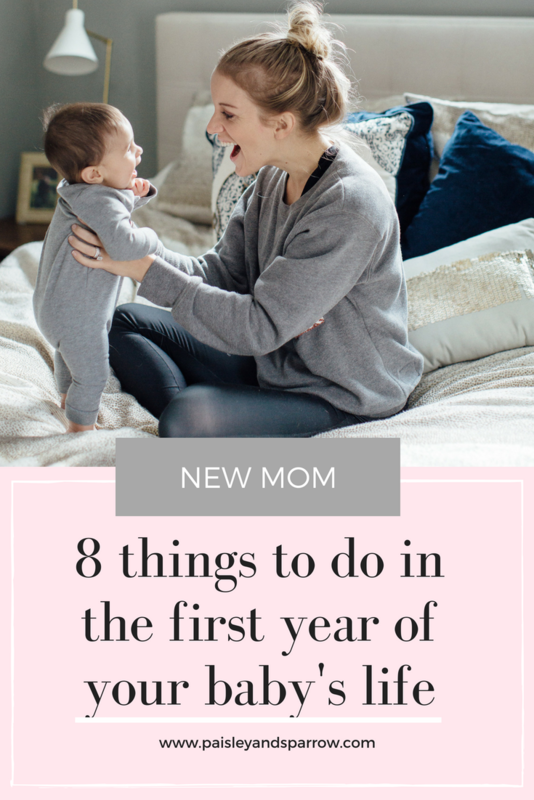 I’m sure there are lots more tips and ideas for that first year of new baby but these are a few of our favorites! What’s one thing you did the first year that I missed?